Brenda Mallory’s mixed media sculptural are comprised of a variety of materials including cloth, fibers, beeswax, and found objects. By creating multiple forms that are joined with crude hardware that imply tenuous connections or repairs, her work addresses ideas of interference and disruption in long-established systems of nature and human cultures. Mallory lives in Portland Oregon but grew up in Oklahoma and is a member of the Cherokee Nation. She holds a BA in Linguistics & English from UCLA and a BFA from Pacific Northwest College of Art. She has received grants from the Oregon Arts Commission, Ford Family Foundation, and the Regional Arts & Culture Council. She is a recipient the Eiteljorg Contemporary Native Art Fellowship and the Native Arts and Culture Foundation Fellowship in Visual Art. 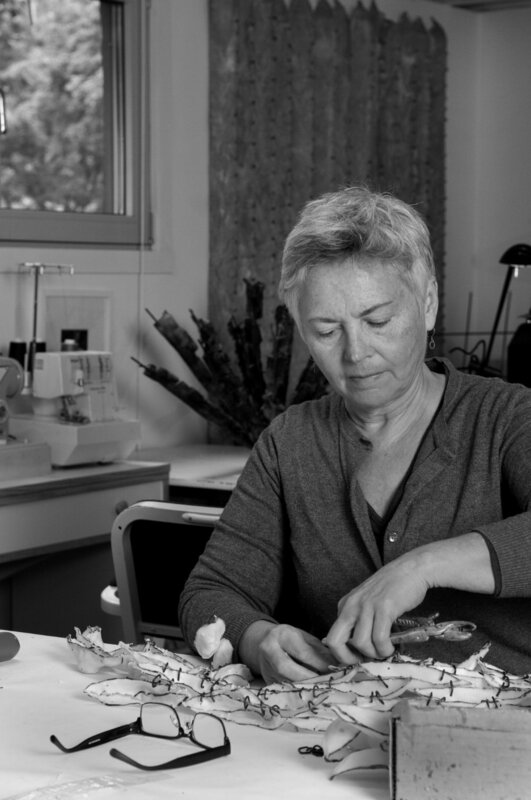 She has participated in artist residencies including Ucross, Anderson Ranch, Crow’s Shadow Institute of the Arts, Glean, Bullseye Glass, and Signal Fire Outpost.